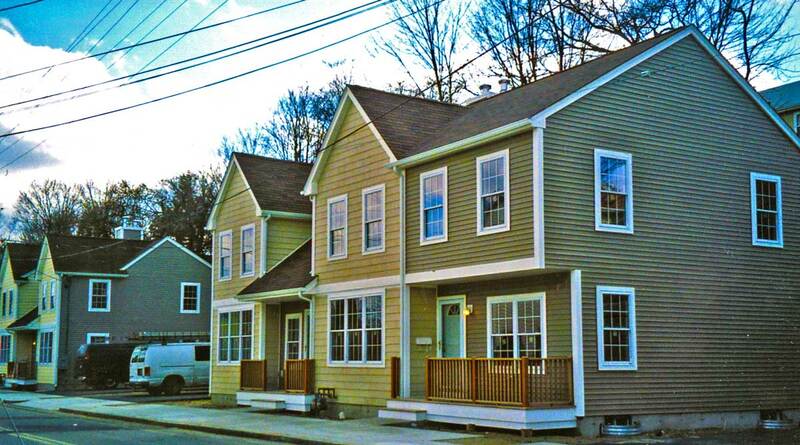 As part of an affordable housing development by the Blackstone Valley Community Action Program, Vision 3 Architects was asked to design two duplexes that were atypical in form for affordable housing. The client wanted a design that would fit well into the existing neighborhood and be “affordable” without looking like affordable housing. 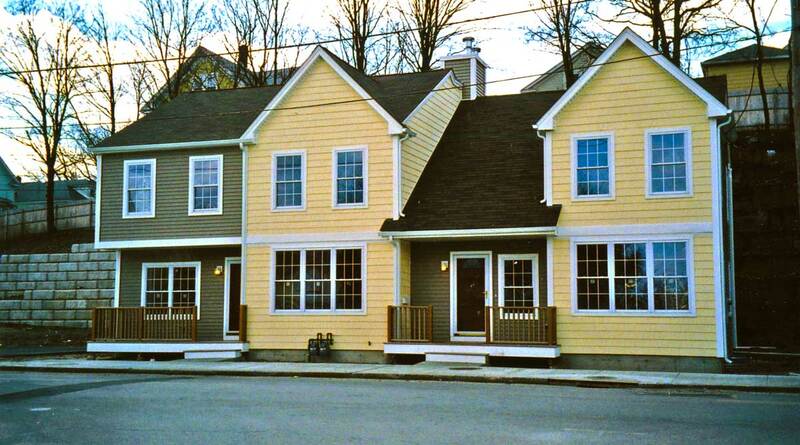 Each duplex has a 3-bedroom and a 2-bedroom unit, with creative rooflines that break down the scale of the large buildings, which fit comfortably within the context of their smaller, single family neighbors. To maximize the yard space on the very narrow site, a retaining wall was put in at the rear of the site, and the duplex design adapted.